Like characters in one of those zombie movies where no one says “zombie,” the crew of the Cloverfield space station—a big metal psilocybin mushroom orbiting near-future Earth—doesn’t know what it’s in for, having left our planet without ever having seen a single sci-fi horror movie: not Alien, not Event Horizon, and definitely nothing about science gone wrong. Not that they haven’t heard (and dismissed) the possibility that experiments with supercharged particle accelerators could lead to inter-dimensional mixups beyond human understanding. (When don’t they?) But narrative is a science, too, and the warning could just as well be directed at The Cloverfield Paradox itself. 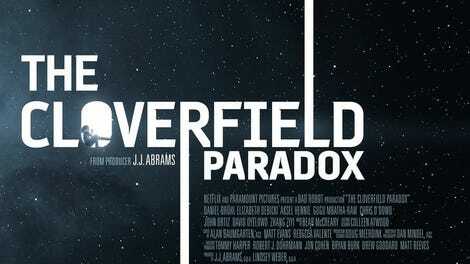 With a structure that suggests four or five equally derivative, predictable scripts spliced together in an accident, the third entry in producer J.J. Abrams’ Cloverfield pseudo-franchise is trippily literal about its hokiness and internal confusion. In identical olive-drab jumpsuits, the crew jog the samey metal corridors of the space station, silly with plot twists. It’s something like The Forbidden Room of rote, straight-to-streaming sci-fi: a Russian scientist 3-D-prints a Chekhov’s gun (also present: a Chekhov’s foosball table); an astronaut inexplicably loses an arm and later finds it wriggling with a mind of its own, à la The Addams Family’ Thing; a stranger who claims to be part of the crew is found surreally inside a wall. Meanwhile, periodic cuts back to Earth draw half-assed connections to the two earlier films, Cloverfield and 10 Cloverfield Lane, both of which involved unseen monsters wrecking the planet. As in authentic Mystery Science Theater 3000 fodder, this extraneous subplot mostly consists of footage of a bit character driving around. Honestly, it’s an ingenious, Barnumesque marketing gimmick for a film that (mutant plot aside) isn’t all that different from dozens of other cramped, watchable sci-fi cheapies available on Netflix; the real promotional masterstroke was releasing the film only hours after its trailer, half of which consisted of shots from the original Cloverfield. (See also: The above monster-movie-looking still, which is the only one provided by Netflix to the press, despite the fact that 90 percent of the film is about astronauts inside a space station.) The only tip-off that The Cloverfield Paradox was originally supposed to hit theaters last year as a big studio release is its better-than-average cast, tasked with classing up junky fake-science dialogue under the anonymously competent direction of Julius Onah (The Girl Is In Trouble). Well, that and the significant chunks of spoken Mandarin, which one suspects were a commercial decision meant to appeal to the lucrative Chinese market back when the movie was still known as Cloverfield Station. That drier, more literal title at least made sense. The Cloverfield Paradox opens with its British protagonist, Hamilton (Gugu Mbatha-Raw), trying to decide whether or not she should join a mission to save a world in the grips of an energy crisis. (Like so many of the movie’s Earth-set sequences, this expository scene is set in a car and looks so cheap that it comes as a surprise when, minutes later, one discovers that the production had the budget for a space station set and a cast of more than two people.) 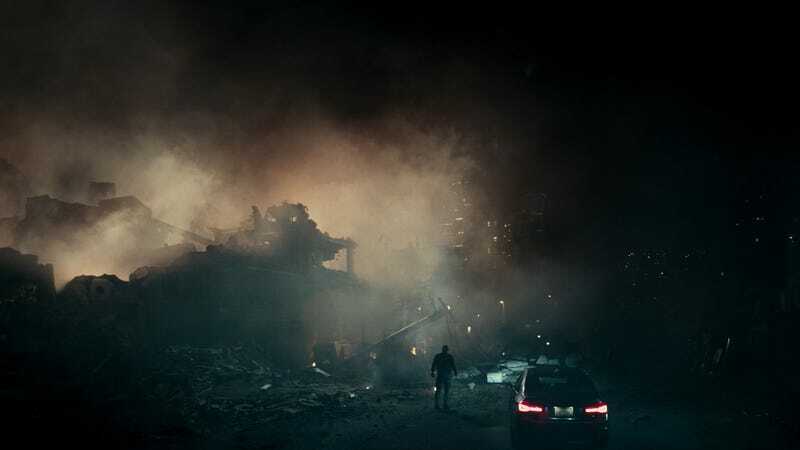 Cut to a few years later, with the international crew of the Cloverfield—led by its American commander, Kiel (David Oyelowo)—under pressure after too many failed experiments, with a possible war between Germany and Russia fueling more tensions between crew members Schmidt (Daniel Brühl) and Volkov (Aksel Hennie). But this turns out to be just the first of many potential conflicts discarded by the film.